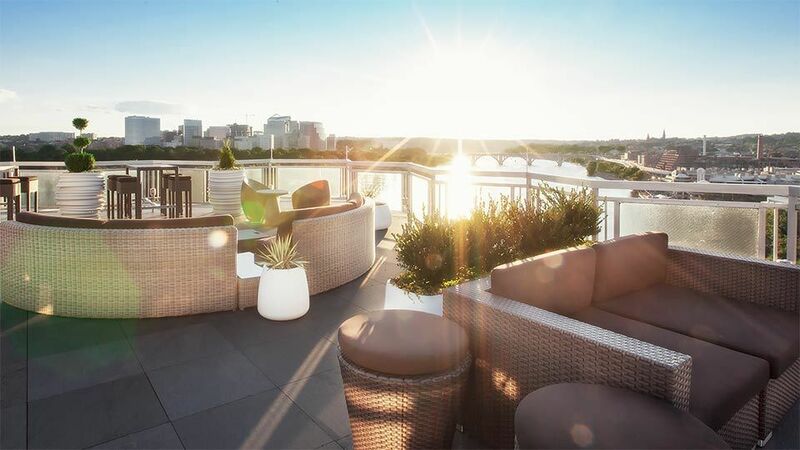 The energetic and sophisticated rooftop bar and lounge at The Watergate Hotel boasts commanding 360-degree views of the Kennedy Center, the Potomac River, the Key and Arlington bridges, the Washington Monument and the rest of the DC skyline. 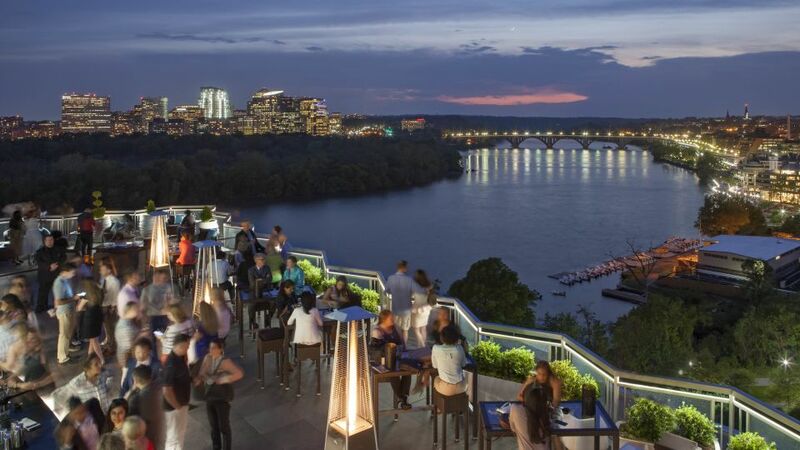 It is the perfect place for an after-work cocktail or the season’s most talked-about event. Join us for a fresh, new menu of handcrafted cocktails and Mediterranean inspired small plates. Bottle service is available in our lounge area. Last call is 45 minutes prior to close. The rooftop is open weather permitting. Sip seasonal cocktails or choose from our collection of international beer and wine. 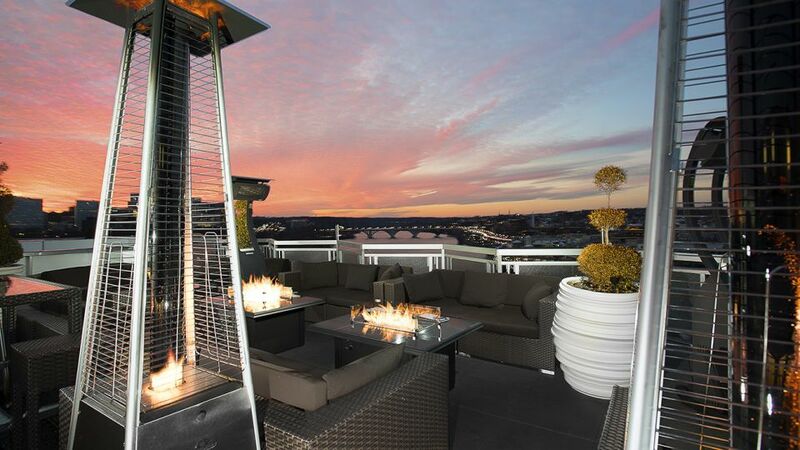 Open air views of spectacular sunsets over the Potomac. Whether you’re lounging with friends, entertaining a small party of co-workers, or hosting a 300-person soirée, we will accommodate any type of gathering. Reservations are required for all sofa seatings. We will be unveiling a new, Mediterranean inspired menu created by our Executive Chef, Sebastien Giannini exclusively for Top of the Gate rooftop. The skating rink is now closed for the season. 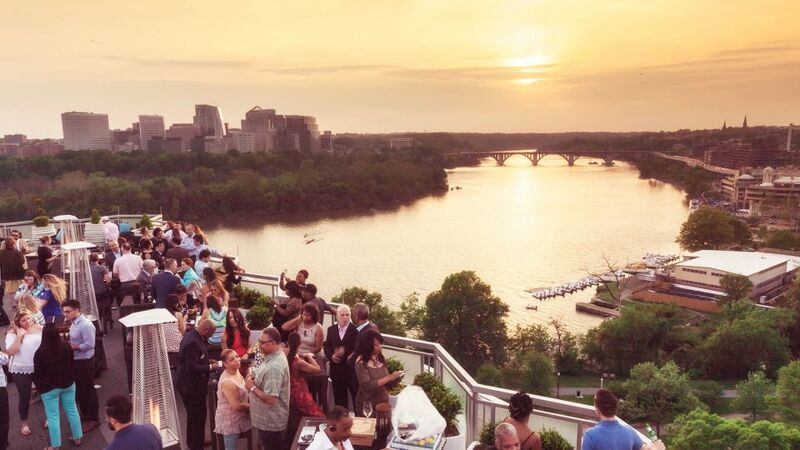 Join us again in November for our one-of-a-kind rink offering 360-degree views of the nation’s capital.